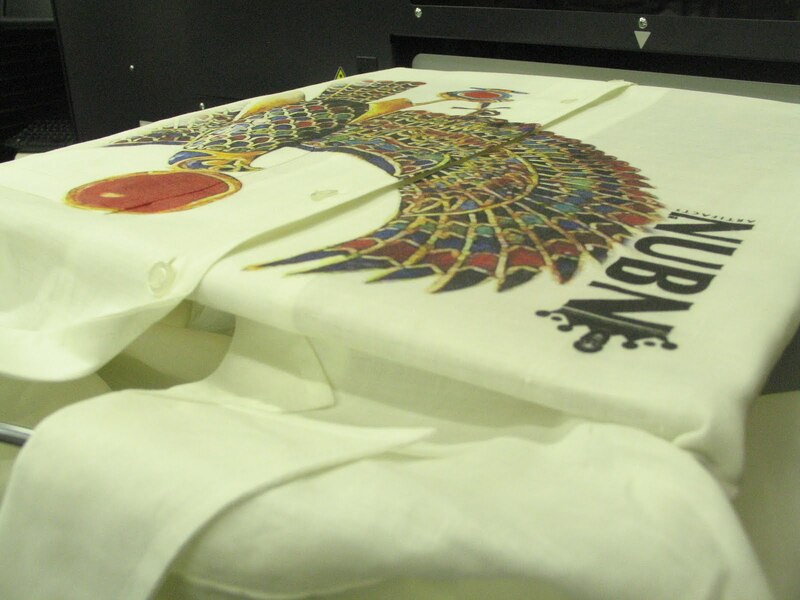 Digital garment printing can be a solution for small quantities, hasty needs, and it can also be a source of exclusive products that are not easily replicated. By promoting these strengths of the medium, its likely your clients will be unaware of the numerous steps and time it takes to complete these production tasks. We recorded the processes to share the exacting and labor intensive process that goes into these fast turnarounds on high quality custom garments. Assignment: Taking your customers art and putting it on the garment. Equipment: graphics and photo editing software, steamer, garment pretreater, heat press, digital garment printer, conveyor dryer. It starts with a vector or raster file that your client would like to have printed. 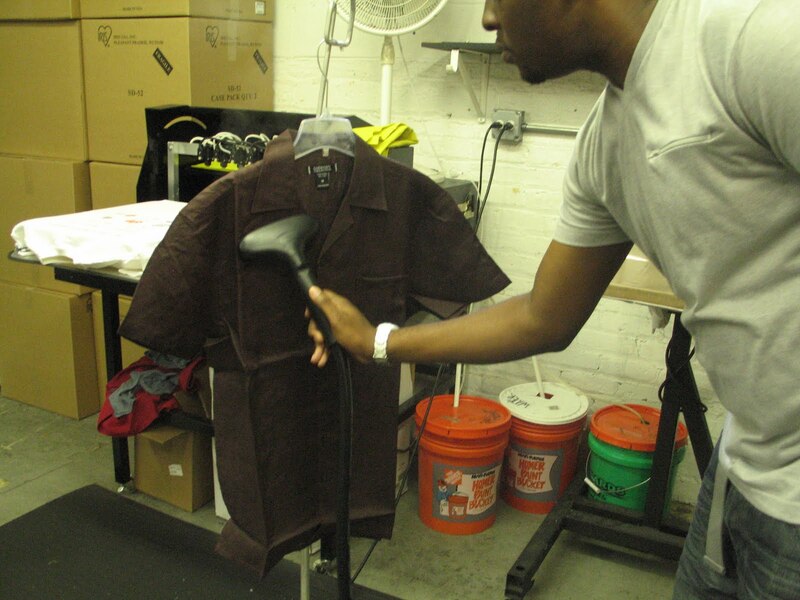 In the case of direct to garment printing, files must first be checked for compression artifacts, color profiled, as well as going through a process of color correction specific to the garment color by a production artist in the art department. Once the file adjustments are made, it is sent off to the Direct To Garment (DTG) department to have an .arp file created, that will be read and interpreted by the garment printer. In the case of the NUBN garments, Brad has usually uses bright colors on light colored garments. This is ideal because it makes the art preparation a little less difficult. 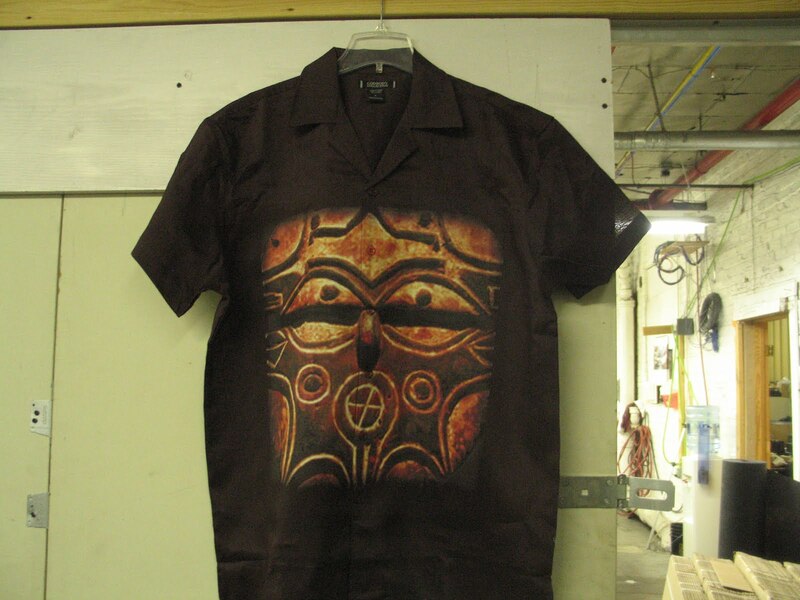 We can, however, print bright colors or dark, earth tones on dark shirts as well. We’ll show an example of each. All that smearing just looks painful, doesn’t it? Not only has the garment been ruined, but all the time spent unwrapping and preparing it has been ostensibly wasted - but not completely. Like any mistake, lessons can be learned from it and subsequent advances made in its wake. Dolphino decided to steam the shirts first (which requires heat pressing following the steaming) to avoid this problem in the future. He then, using specialty adhesives, effectively fixes the shirt directly to the DTG platen, making sure his seams are straight and that his print surface is flush with the platen to promote even distribution of ink. The result? 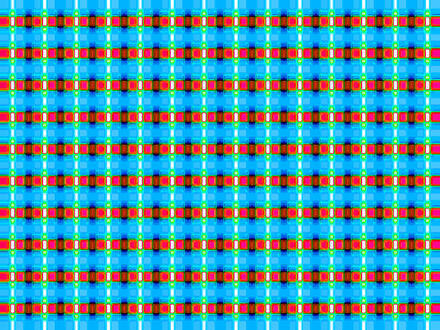 A beautiful, vibrant Direct to Garment print on a fancy, schmancy shirt. Remember the dark on dark print I spoke of before? Well, all of these steps are required in Brad’s creation, however, there’s more. 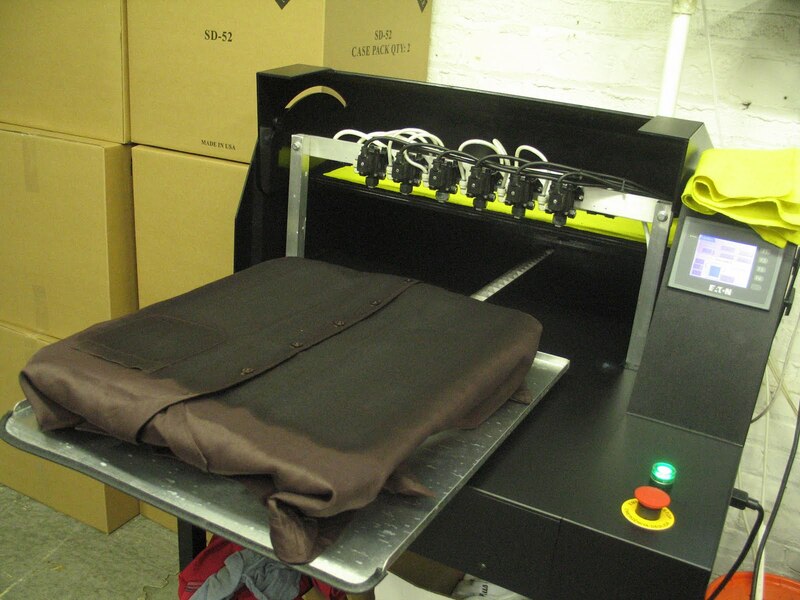 Before printing dark garments, pretreating is required. 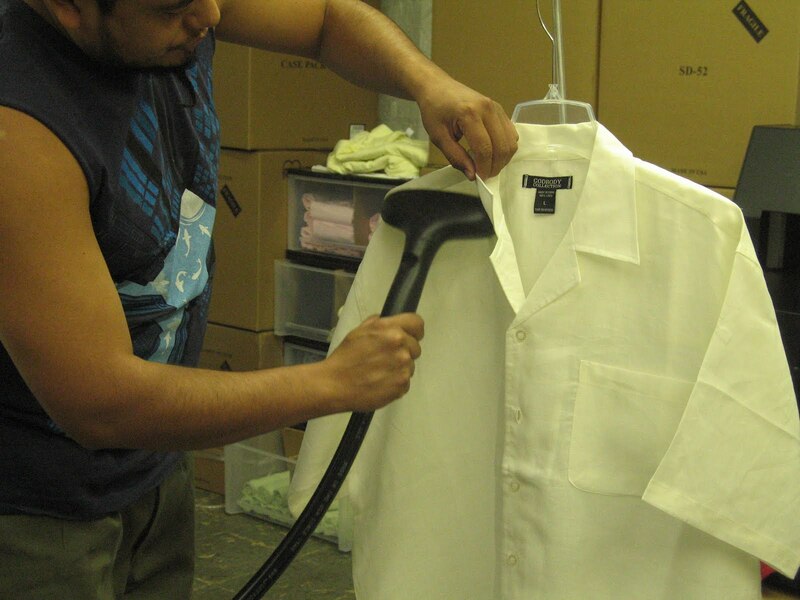 Using industry standard equipment, theshirts are sprayed with a fine mist of a specially formulated liquid. 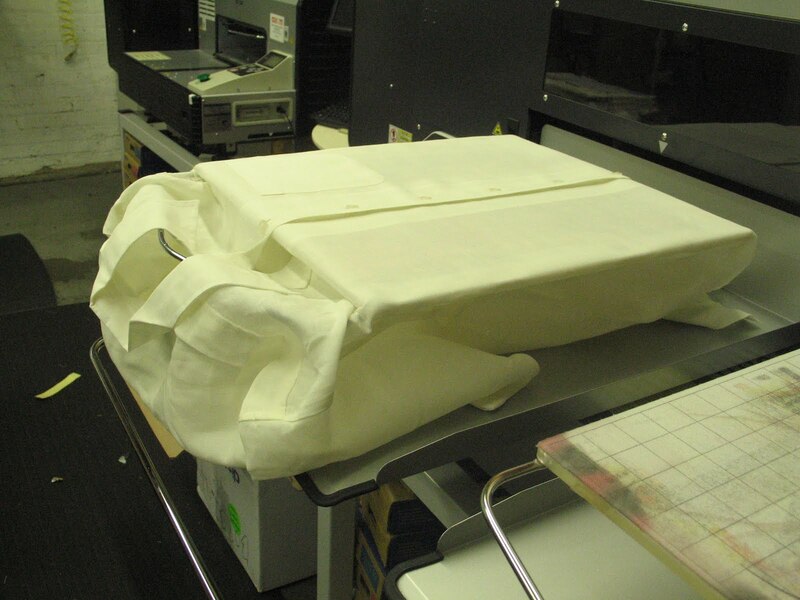 After heat pressing a second time, the pretreat creates a bonding layer for the white ink. The reason for this? 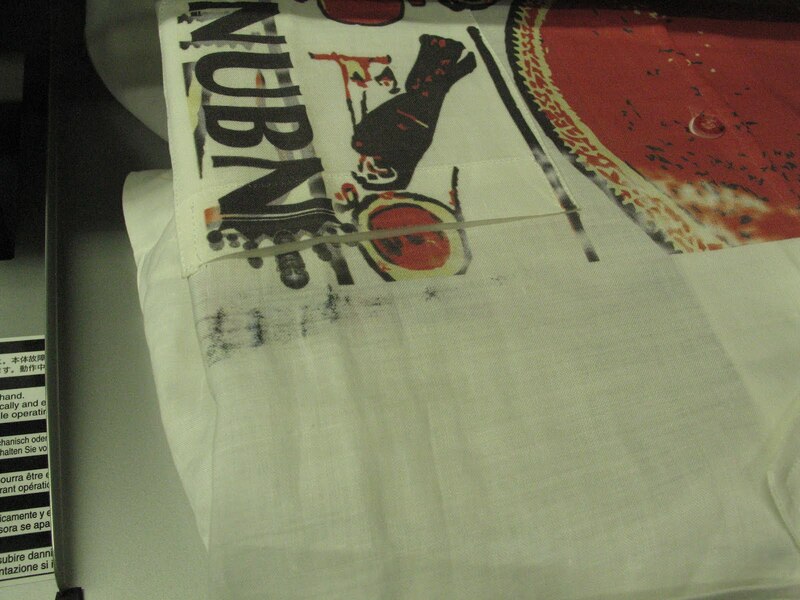 White ink is very heavy and not very viscous so it needs a little help standing up to porous surfaces like textiles. Now for a little fusion of relaxation and wracked anticipation; the manual labor is finished, but now the printer has to lay up to three layers of ink in a consistent, uniform manner over 288 square inches (16x18 platen) with no errors. 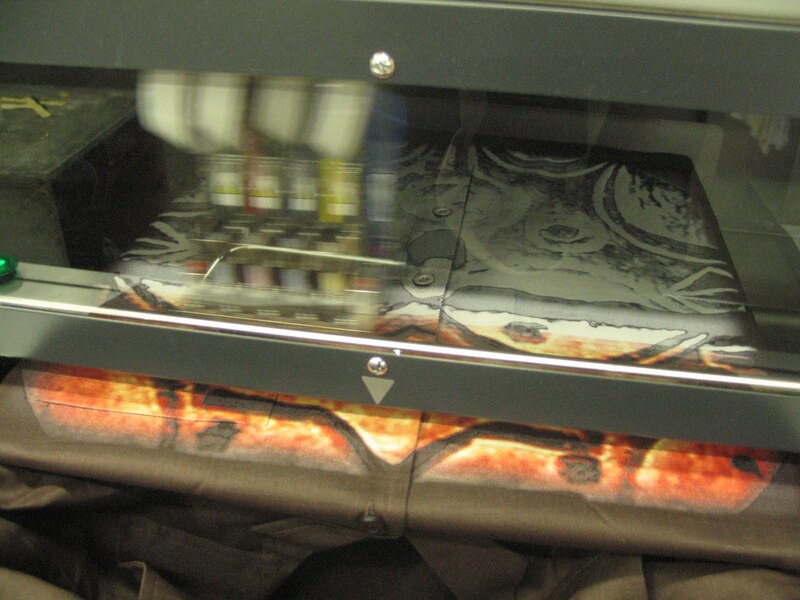 While preparing the next shirt one can’t help but glance at the digital garment printer while it works it’s magic. For white ink to cure properly, it must be kept in 356 degrees for at least 5 minutes. Then the garment must be inspected for any imperfections. If the five P’s (Prior Planning Prevents Poor Performance) have paid off, then the digital print specialist and the customer both are rewarded with a, frankly, beautiful digitally printed garment. In this case, they paid off in spades (note the buttons).